My Car Broke Down Again: Is it Worth the Cost to Repair? It happens to most of us at one time or another. Your car breaks down for yet another time, and you question whether you should bother to put more money into repairing your vehicle or decide enough is enough. At what point do you deem it a junk car? How do you know when it is time to consider free junk car removal in Vancouver, WA? The following are some tips to help you decide. Is Your Car Worth the Repair Costs? As cars age certain parts will need to be replaced. Some are more costly than others. Belts and hoses will dry out, crack, and wear down. Moving parts eventually break. Many of these are ongoing repairs that become common after around 100,000 miles, but they aren’t too expensive. Other, big ticket items you will run into include things like the timing belt, water pump, and a full drive belt replacements. These can run up to around $1,000. When all they hit around the same time, it can easily feel like you have a junk car on your hands. However, you may want to consider the following before making a commitment to get rid of the vehicle. How much is the actual estimated repair? 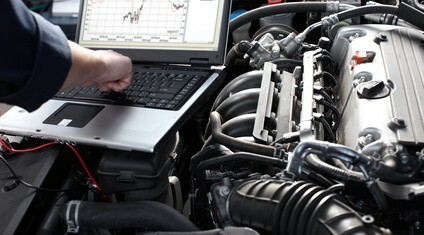 Many people do online research for what they think is wrong with their vehicle. However, the real cost may be much less. You may think yo need a new transmission, when you really only need a seal replaced and your transmission fluid refilled. Have a full diagnostic review of your vehicle done, and know the real costs before making a decision. How much time will the repair buy you? If it is a major repair at a high cost that your car needs, how long will it extend the life of your car? If you are gaining years of extended life for a few thousand dollars, it may be worth it. If you are still likely to have many other costly fixes to come, then it may not not be worth the cost. How much is your vehicle worth? Check the Kelley Blue Book value of your car. What is it worth after the repair? What is it worth before the repair? Weigh these against the cost of the repair. If the cost of the repair will bring up the value of your car well beyond what it takes to repair it, it is probably best to do so. If the repair cost is well beyond the value of your vehicle (even after the repair), then it is probably safe to give it the official “junk car” label and sell it as-is for cash. What other repairs has the vehicle had recently? If you have already replaced major parts of the vehicle (like the engine or the transmission), then you are not likely to have trouble with those areas for quite some time. Smaller repairs may be worth it, as you have already put in the major big ticket repairs. What will a new car cost? Having monthly payments for the next 3-5 years may be stretching your budget more than is comfortable. Take an honest look at what you can afford, now and long-term. If the year’s worth of repairs for your vehicle is not likely to exceed, say, $1,000, but you will pay $350/mo for the new car range you’re looking at, ask yourself if you can afford to spend the extra money every month. It may be better to opt for the $1,000 repairs. On the other hand, if you can afford the extra cost and the repairs are starting to get close to the value of your vehicle, it may be a good time to trade up. If you have used the above information to come to the right decision for your car, a cash for cars business is an easy solution when it does come time to deem your car as junk. Call Cash for Cars Northwest when you are ready to get same-day cash for your junk car removal in Vancouver, WA.